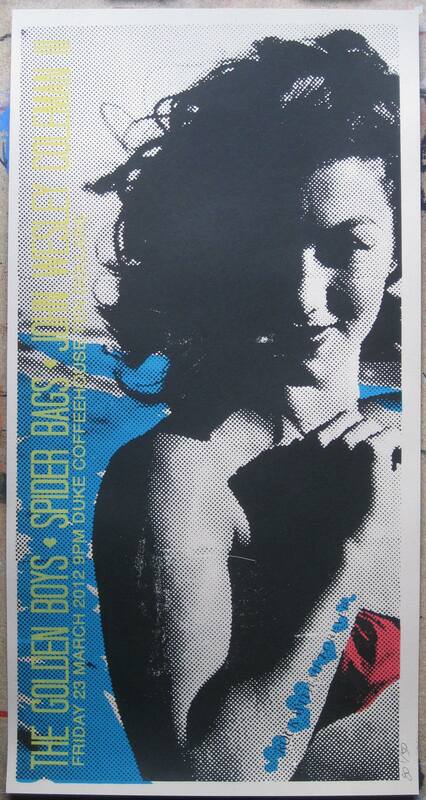 So, this will be fun: The Golden Boys / Spider Bags / John Wesley Coleman, Duke Coffeehouse, 23 March. Print is 11×21, 4 colors. See you there.